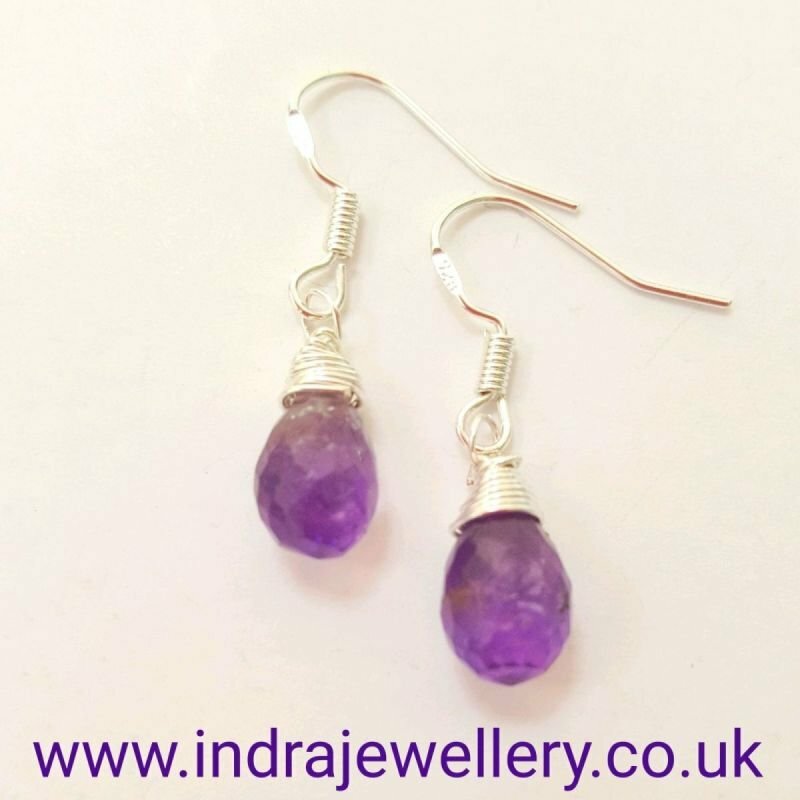 This is a pair of stunning amethyst gemstone teardrop earrings, because the amethyst briolettes are faceted they are so pretty as they catch the light! I have wire wrapped the gemstones and attached them to hypoallergenic, 925 silver hooks. Amethyst is a protection stone and is great for depression and anxiety! it helps to keep away any negative thoughts and emotions and it helps to balance mood swings and irritability. Physically it is said to helps hearing, bones and is good for arthritis.